Drug shortages happen often enough, and are severe enough, that in 2018, the FDA formed a drug shortages task force to find the root of the problem and seek long-term solutions. In his statement announcing the formation of the drug shortages task force, FDA Commissioner Scott Gottlieb that some factors are outside of pharmacists’ control, specifically citing the especially harsh hurricane season as one driver of shortages and availability shortfalls. A host of other drug availability issues arise from recalls and supply chain issues. Many more stem from lower manufacturing capacity and lower margins on generics relative to their still-high production costs. The fact that so much is outside pharmacists’ control should not be cause for despair or inaction; instead, it simply underscores the necessity for making the most of those areas you can control. 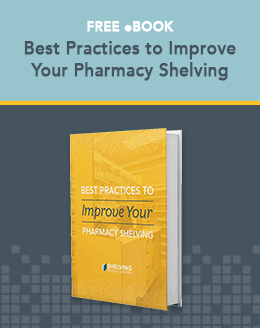 No matter how thoughtfully designed or how efficiently planned your pharmacy may be, your space is finite. Mismanage that space and all those efforts come to naught if you’re not careful about organization and inventory management. Whether you’re plagued by overstock of drugs that are in low demand, shortages of needed product, improper allocation, money lost on returns to stock, or inaccurate cycle counts, your business will suffer. If you’re still relying on an outmoded system, it’s time to reconsider; newer pharmacy management systems — especially when used in tandem with automation — will free up space, time, and money, both in the short and long term. Each of these things impacts, and is impacted by, careful cost management. That’s especially true when the only thing more unpredictable than drug costs is the rates at which pharmacists will be reimbursed — a problem that’s only compounded when neither manufacturers, wholesalers, nor PBMs are willing to own responsibility for their part in the issue. It’s only compounded when you’re a small neighborhood pharmacy that can’t count on the same economies of scale leveraged by bigger players like Target, CVS, and Walgreens. There are, of course, other challenges faced daily by retail pharmacies. Customer retention, preventing prescription errors, patient education, and many more things weigh on our minds daily. While none of them lend themselves to quick fixes, the one thing that each shares in common is that they can best be addressed with more time, whether it’s more time spent with each patient or more time spent on the right tasks. Managing and optimizing pharmacy workflow eliminates waste and frees up time so you can spend more of it focusing on what you do best. If you’re not sure where to start with that, contacting Shelving Design Systems to take advantage of our pharmacy design consulting services can be a great place to start.